If you need a myelogram procedure, you may be nervous or unsure of what to expect. Keep reading to learn more about the process, as well as how you can prepare for it. When your physician needs specialized imaging of your spinal canal including the spinal cord, spinal tissue and the surrounding nerves, they may order a procedure called a myelogram. Myelography is a test in which contrast dye is injected into the space around the spinal cord while fluoroscopy is used to take moving X-ray images. As the contrast material flows through these spaces, we can discern and examine any abnormalities that may be in this region. This could include the presence of an infection, tumors or inflammation. A myelogram procedure is generally followed by a CT scan to help better define any potential problems. When used in combination with CT technology, myelograms provide your physician with more detailed information than standard X-rays alone. 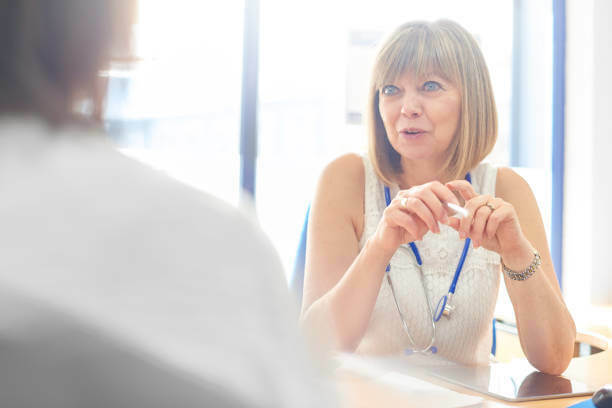 Before you have a myelogram procedure, the team at Health Images will ensure you’re fully aware of what it entails, as well as any potential risks involved. You’ll also have time to ask questions. A few days prior to the procedure, you may need to stop taking certain prescription drugs as these could interfere with the imaging results. If you are taking medication, let your physician or radiologist know. You may also have to drink extra fluids ahead of time. Also, it’s a good idea to arrange a ride home, as it won’t be safe to drive yourself. For those who need help relaxing, some form of sedation may be available. What Happens During and After a Myelogram? In general, myelograms are done as an outpatient procedure either at the hospital or an imaging center like Health Images. Before the examination, you will change into a hospital gown and be asked to remove all metallic objects like jewelry. You’ll also want to empty your bladder. You will lie down on a padded table on your stomach. The contrast dye is injected into your back, but first, the site is sterilized and numbed with a local anesthetic. This may sting, but it allows you to feel more comfortable during the procedure. A needle will be inserted between two vertebrae in your spine’s subarachnoid space. You may feel some pressure as the needle goes in, but you’ll be asked to remain as still as possible. Spinal fluid will be removed. Using the inserted needle, a small amount of contrast dye will be injected. As it enters your spinal canal, you may feel a warm sensation. Sometimes, we will need to help the contrast dye move throughout your spinal canal. To do this, we may tilt the table you’re laying on in different directions, but you will be held secure using a brace. More contrast dye may be injected as needed during the test. If needed, X-rays or CT scans will be taken afterward. You will be asked to stay at Health Images for a short recovery period to ensure no complications arise. As you sit or lay down, we will monitor your vital signs frequently. After this, you will be discharged and allowed to go home. We recommend limiting your activity for about 24 hours after the myelogram. Be sure to report adverse side effects like tingling or numbness in your legs, blood or fluid drainage at the injection site, severe pain, vomiting, nausea, fever, problems urinating or a headache. At Health Images, we’re committed to providing the highest level of care to the communities in and around Denver, CO. If you’re in need of a myelogram or any other type of diagnostic imaging, we invite you to find a Health Images location near you.